188 pages | 12 B/W Illus. Promoting Academic Talk in Schools brings together a rich array of recent research to explore how academic talk helps transform student experience across a variety of learning environments. Drawing on conceptual frameworks and evidence-based strategies, each chapter analyses the implications for practice in both formal and informal classroom settings. The book covers topics from collaborative and productive talk to increasing student participation and parent-student talk outside of the classroom. 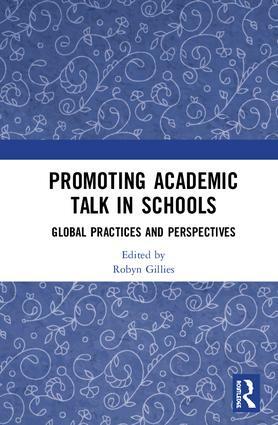 With contributions from academics in Australia, the UK, the USA, and Spain, it provides a comprehensive Western perspective of academic talk in schools. Promoting Academic Talk in Schools offers both theoretical perspectives and practical implications, making it an ideal resource for both researchers and postgraduate students in this burgeoning field. Robyn M. Gillies is Professor of Education at the University of Queensland, Australia.